1st Aliya: Yisro brings Moshe’s wife and two sons to join him in the desert. 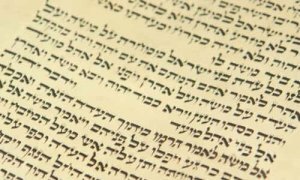 In 18:10, Yisro proclaims his belief in Hashem (G-d) and identifies His manifest justice as the primary motive for his belief and conversion. 2nd & 3rd Aliyot: Yisro observes Moshe’s daily schedule as chief administrator, judge, and teacher. He advises his son-in-law to delegate some responsibilities to a hierarchy of worthy judges and administrators. This would allow Moshe to focus his attention on those issues that demand his specific attention. Moshe listens to Yisro’s advice. 5th Aliya: Moshe tells the nation of G-d’s expectations and they respond, “all that Hashem will command we will do.” Moshe is further instructed to tell the people to prepare themselves by immersing themselves and their clothing in a Mikveh, and to remain apart form their spouses for 3 days. Mt. Sinai is to be fenced off so that no person or animal could ascend the mountain until the shofar sounded the conclusion of Revelation. On the 3rd day, Revelation began with lightning, thunder, the sounding of a Shofar, and Mt. Sinai completely engulfed in clouds, smoke, and fire. Moshe led the nation to assemble at the foot of a trembling Mt.Sinai. 6th Aliya: Hashem summoned Moshe to ascend the mountain and instructed him to re-emphasize the prohibition against anyone ascending the mountain during Revelation. Moshe descends and discharges G-d’s wishes. With Moshe standing among the people at the foot of the mountain, Hashem spoke the Ten Commandments to the entire people. 7th Aliya: This last Aliya describes the reaction of the nation to Revelation. In 20:19, the Pasuk factually states that the Bnai Yisroel (Jewish Nation) collectively heard G-d speak. 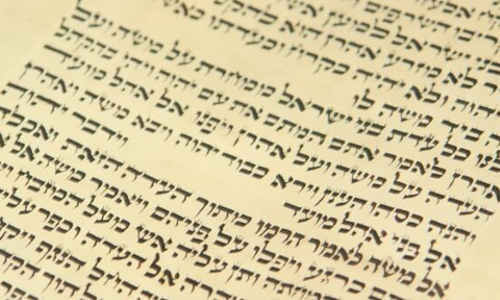 It is among the most fundamentally important statements in the entire Torah. The Parsha concludes with the three commandments regarding the Mizbeach (Altar).